In the beginning of time all humans had to survive were things created by Mother Nature. There were no products, farmers, or stores, it all had to be done from scratch. It’s all fine and dandy in the year 2014, you don’t have to grow your own broccoli or kill a chicken for dinner, which most of us overlook. Members of the Paleo culture appreciate the ease of the modern world but still believe the only things humans should consume/use need to be from a natural source. In fact some say living Paleo is so easy a caveman can do it. Plants, animals, nuts, oils, and minerals cover almost all of the things used in the Paleo lifestyle (which is pretty much what cavemen had to work with). Certain grains, carbohydrates, legumes, fats, preservatives, artificial ingredients, and even dairy products are excluded. So how do these people stay beautiful? The natural way of course! Cleansing: While most prefer cleansers that produce loads of foam those who choose to go Paleo know the suds aren’t what get you clean. Sulfates are responsible for producing suds and are classified as a detergent. Exposure to too many sulfates can strip the skin of its natural oils leaving it dry and tight. To go about cleansing the Paleo way you should drop the store bought cleanser and grab a tub of your favorite essential oil. Oil helps break down excess oil, dirt, and debris from skin while also providing hydration. Common oils used for cleansing are coconut, argan, castor, olive, hazelnut, and almond. Toning: Toner is a very important step in a skin care routine many people skip. A toner’s job is to bring your skin back to normal after cleansing. If you use a toner it may be packed with alcohols that can dry the skin even more which makes you believe you need a heavy hydrator. A Paleo friendly toner will hydrate the skin and feed its cells essential nutrients. Things commonly used as toner includes rose water, cucumber juice, apple cider vinegar, chamomile tea, and witch hazel. Exfoliating: Exfoliating the skin is very important because it helps make room for new skin. When new skin comes to the surface imperfections like fine lines, wrinkles, and hyperpigmentation. Most exfoliators use micro beads to remove the skin which are dangerous to the environment because they aren’t biodegradable. Micro beads are also too small to be filtered from water so they end up in our water supply. Natural exfoliators exist but some of them use materials that are synthetic or those with jagged edges like rocks or stone. While there are many natural items that can help exfoliate skin some may be too harsh and cause tears in the skin. 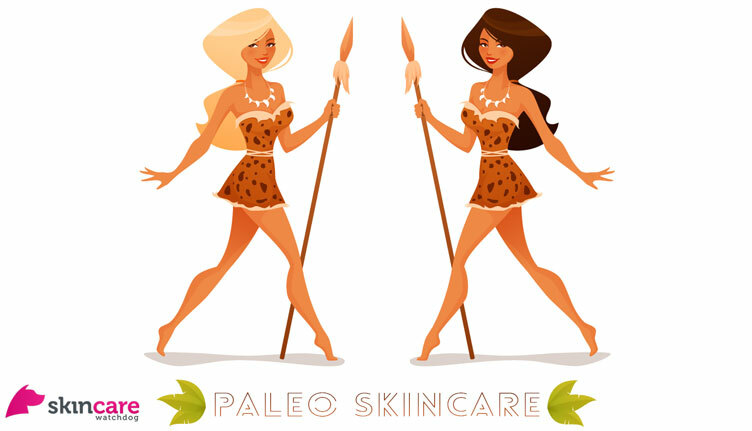 Exfoliating the Paleo way means using items like salt, sugar, baking soda and other gentle items to remove dead skin. Hydrating: Hydration is key to skin’s health and it is important that the ingredients used to hydrate are effective. Some ingredients used to hydrate only sit topically while others can harm the skin and cause alternate problems. The same oil used for Paleo style cleansing can also be used for hydration. Some create oil blends to tackle skin care concerns. Common oils used for hydration are coconut, jojoba, carrot and lavender.